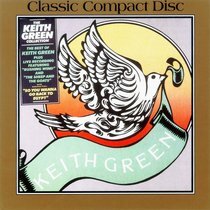 Customer Reviews For "Keith Green Collection"
This is an album that every Christian should own. It will help keep you on track with convicting messages and thought provoking passages, all performed with passionate, flawless vocals and amazing musicianship. Just a stunning compilation of life changing and  brilliantly written masterpieces. Personally I've never heard a better Christian album.